DryWrite and the brilliant Vicky Jones brings us another hilarious and poignant piece about love, relationships and manipulation. Harry and Jo are happy. They are strange and comfortable together but they understand each other. Waiting up for news of Jo’s sister who has just gone into labour, the pair are interrupted by Harry’s close friend and ex-partner Kerry who comes with her own agenda. Harry and Jo are left to take a close look at the intricate details of their relationship (over many a bottle of red wine). Jo (played by the wonderful Tuppence Middleton) is always two steps ahead of her Professor-turned-partner Harry (John Hopkins). This, in turn, frustrates Harry and it becomes clear that this piece is a total examination of power, that is constantly and dizzyingly taken and given away and the ramifications of these games. 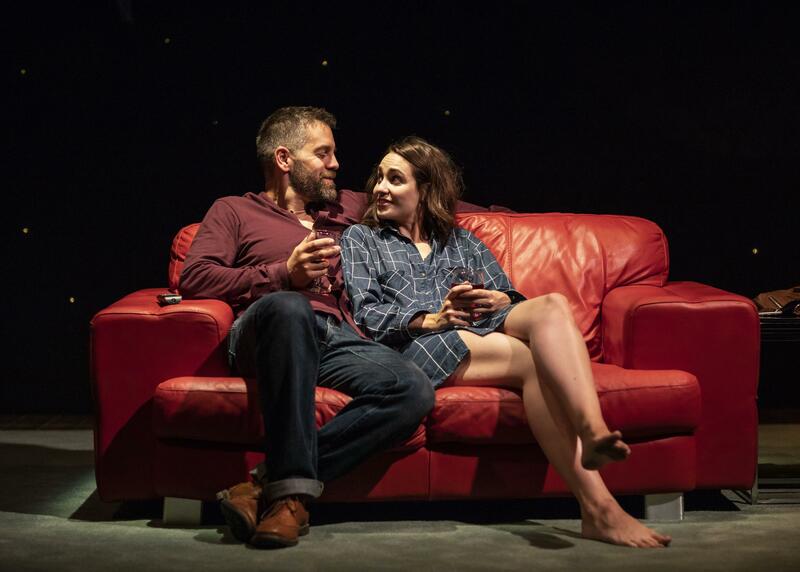 With quick, witty dialogue that runs a million miles a minute (in true DryWrite fashion) and laugh out loud moments that have the audience gasping and giggling ,The One is a perfect representation of the inner workings of a relationship on the edge and asks the question when does a lot become too much? And at what point can someone push and push until the other has nothing left? The One runs until 25 August.